Anne was born November 29, 1951, in Weir, KS the daughter of Emmitt and Donna Wahl. 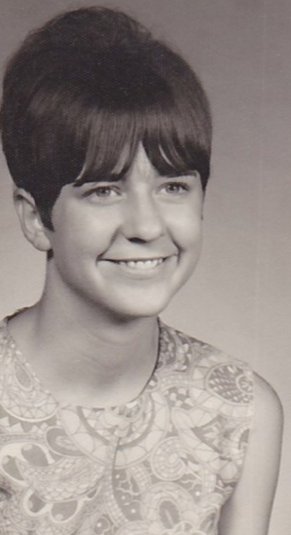 She graduated from Columbus High School in 1969. She married Karl Richard Bagby Jr. on January 10, 1970, in Timmons Chapel on the campus of Pittsburg State University. Mrs. Bagby worked as a medical receptionist and most recently had retired and enjoyed fishing, cooking, gardening and spending time with family and close friends. Survivors include her husband Karl of the home, three daughters Karla Snell and her husband David of Owasso, OK, Michelle Berry and her husband Justin of McPherson, KS and Jenny Vittitow and her husband Rick of Kansas City, KS, one brother Marvin Wahl and his wife Dorothy of Columbus, KS, eight grandchildren: Kelsi spooner, Kameron younger and his wife Kris, Evan Berry, Nicole Winsky, Alex Berry, Karl Reilly Berry, Coda Snell and one great-grandchild, Winnie Younger. She was preceded in death by her parents and a brother Mike Wahl. Private burial will be in the Hosey Hill Cemetery in Weir, KS. Arrangements are by the Bath-Naylor Funeral Home in Weir, KS. In lieu of flowers, a memorial has been established to the St. Jude Children’s Hospital in care of the funeral home. I am so sorry for your loss. Prayers to help you deal with your grief!